FREE Easter Lunch Box Notes! 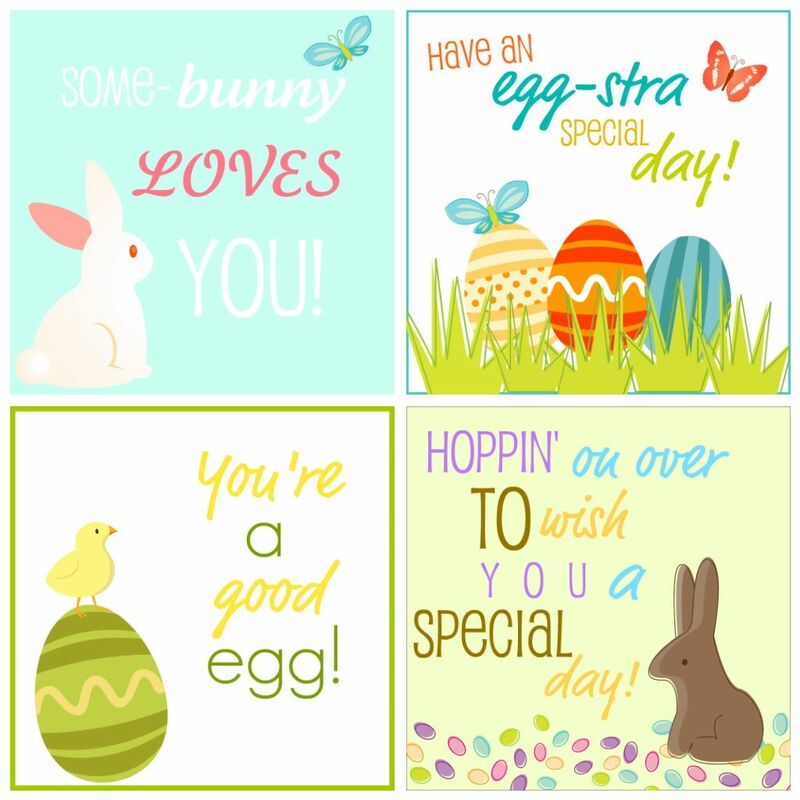 Get your FREE lunch notes for that special some-bunny today! Simply right click and ‘Save As’ the image, print, laminate, and enjoy! Please use for personal use only and leave a comment if you like what you see! Thank you for sharing these – they are adorable! I have children similar ages to yours (8, 5 and 3) all at school/kindy who will love these. Yeah glad you’ll enjoy them!! Happy Easter to you and yours. I am the Enchanted Yankee: an east coast born gal currently living in the Land of Enchantment (New Mexico). I am a busy mamma to three boys, ages 7, 6, and almost 4 (gasp-wasn't he just born). I am also a part time professional organizer and avid crafter. My kiddos go to public school but I am a huge proponent of mommy schooling as a supplement to their education, so keep an eye out for some freebies! Letters V and Z for Veterinarian and Zoologist! Letters R and T for Rainbows and Tie Dye! Letters K and Q for Kings and Queens! Letters O and U for Understanding Organic!